RNs throughout the Midwest Will Love Ste. Genevieve, Missouri! Welcome to “I Love Travel Nursing’s” Weekend-Getaway edition! RNs in the heart of America already have their pick of amusements; they can watch ball games in Wrigley Field, spend vacation days in lakeside cottages throughout the Ozarks, or set their sights on a weekend getaway that’s the stuff of fairy tales. For Missouri travel nurses and RNs in neighboring states, such a place is just 60 miles south of St. Louis: the French colonial town of Ste. Genevieve. Every summer, during the second weekend in August, Saint Gen—the oldest city west of the Mississippi River—holds its annual “Jour De Fete” celebration. On August 9th and 10th, take a lazy walk down Saint Gen’s provincial streets, sampling wares from vendors selling everything from homemade quilts to deep-fried frog legs and funnel cakes. Artisan crafts and oil paintings are a sight for sore eyes in this Bed & Breakfast wonderland. Travel nurses will find the action at Pere Marquette Park on N. 4th Street! August isn’t the only month travel nurses are encouraged to see this quaint part of The-Show-Me-State. It’s like jumping into an historic novel! In May of 1873, Jesse James robbed the Ste. Genevieve Bank—and the city’s oldest residents have bragging rights of their grandparents witnessing the heist! Make sure you tour living history by stopping by the dozen houses that time forgot: spinning wheels and heirloom gardens are a day’s adventure—don’t forget to have tea and quiche downtown when you are done. 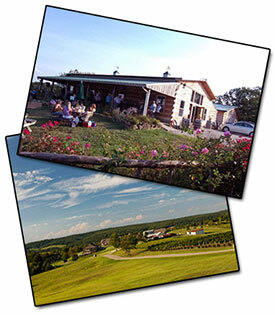 The Chaumette Vineyards are worth a click, too. Some of the best U.S. hospitals can be found in the American Midwest…. But that’s not the only draw for health professionals here. There’s also the ease of commuting to nearby states. RNs in Missouri are just a day trip away from Illinois, Indiana, Kansas and Arkansas. Board the Southwest Eagle or Texas Chief—both comfortable Amtrak trains—to see waving wheat and Midwest metropolises like Kansas City, described as the Paris of the Plains. If you love travel nursing, check in with American Traveler Staffing Professionals, a premiere staffing agency today!